Skin can be a real feature in a makeup look, whether it’s matte and velvety or soft and dewy. 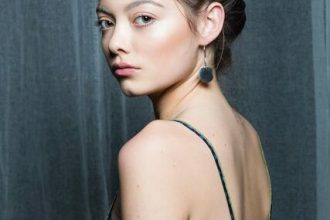 Generally you’d have it matter for winter and dewier for summer but the trend at the moment is toward sheer, healthy, glowing ‘athletic’ looking skin. Play around with texture as well as colour when designing your beauty look, as a combination of different textures can be really beautiful. 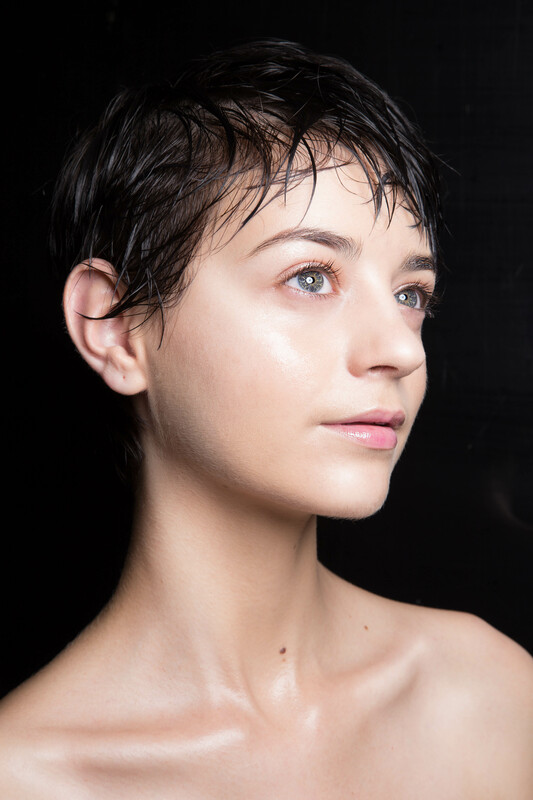 Dewy sheer skin tends to look more youthful, whereas matte full coverage skin tends to look more sophisticated but there are always exceptions to the rule. 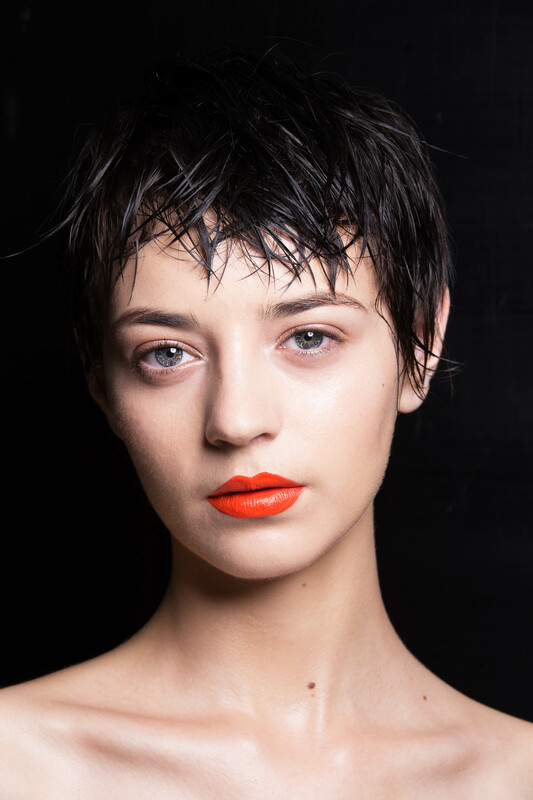 A lip colour can make or break a look. If I’m going bold I like to pair back the other elements of the face and really let it speak volumes for itself. Texture is important here too, whether you go matte, satin or gloss changes everything. Lastly, think about whether you want it sharp crisp and deliberate; or if you want it softly worn in around the edges, and more of a stain. 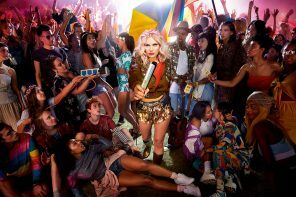 It can be challenging to find a lip colour that works with an entire collection of fabrics, so it’s not unusual for me to change a lip once or twice throughout a shoot. 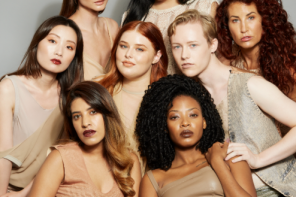 For runway it can also be challenging to find a lip colour that will suit 12 different models, so make sure you let your team know if you’re including girls with a wide range of skin tones in your show. In almost any look there will be some level of face sculpting involved. You may not notice it as a feature but without it, a models face will look flat and 2 dimensional in photos. 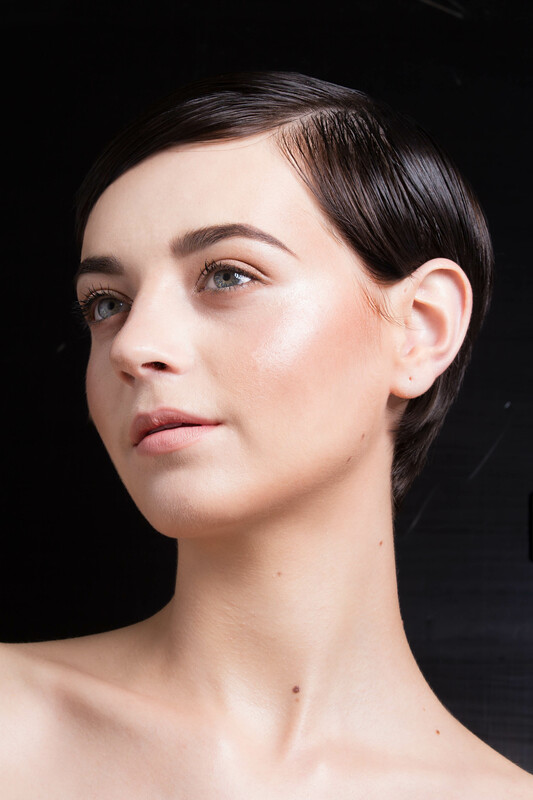 Natural shaping adds contours and definition to a face, or can be used to round out a face (e.g to soften a strong jawline). To bring sculpting out as a real feature creates a dramatic definition to the face for an edgier look. In contrast, you can use highlighting to create points of light on the face, either to soften naturally hard edges, create angles, or enhance the sculpting. Brows are so important. As a feature they can resonate with the observer to create a real focus. There’s nothing like a brushed up wolfy looking brow, or a softly sculpted natural brow. 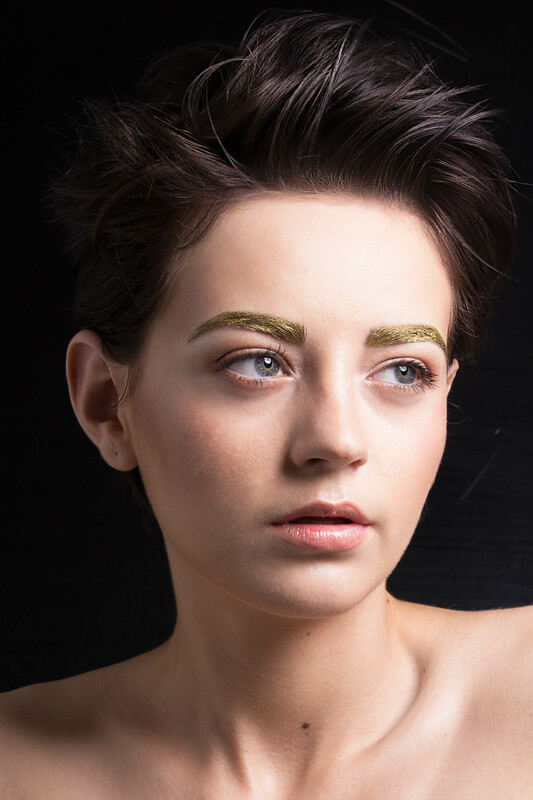 For something a little more avant garde, you can block out or bleach brow. Paired with a smoky eye this looks beautifully haunting. Whether bold or barely there, brows should be a big consideration in creating your makeup look. There’s nothing like a smoky eye. Whether it’s super blown out and dramatic or a little bit more reserved, a good eye makeup will make the model’s eyes pop. And when shooting a lookbook or walking a runway where the model’s face is relatively far away from the observer, it becomes really important. A lot of it will depend on the model you’ve selected and should always be adjusted to suit her eye shape wherever possible. In terms of colours, you’d generally go warmer (more golden, chocolatey browns for example) for a summer collection, and cooler tones (greys, taupes) for winter. For a more editorial look, really pair it back to the bones of the theme and work with your artist to get creative. We also usually save the more dramatic looks for winter, and makeup for a summer collection is usually lighter but this is not always the case.